At the age of 102, Ula Milner Lenn passed away peacefully in her sleep. Mrs. Lenn was born in Roswell, New Mexico, but grew up in San Antonio, Texas, which she always considered home. 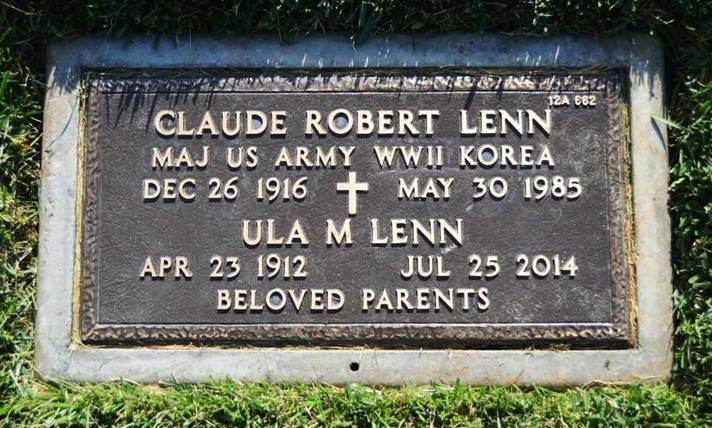 She married Claude R. Lenn, a career Army officer in 1941, and she and their two daughters accompanied Major Lenn to his duty stations in the U.S., Japan, and Germany, settling in California after his retirement. 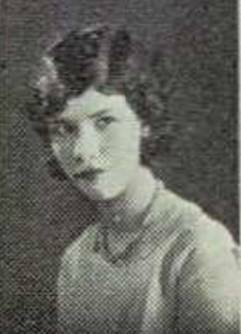 Always industrious, and with an astute sense of organization, Mrs. Lenn preferred to work outside the home, working at various times as a legal secretary, bookkeeper for an investment company, a civil service employee, and a teacher in an art shop. A charter member of the El Toro Baptist Church in Lake Forest, her life was guided by a strong and quiet faith. Prayer and Bible study were a part of every day's routine. Although Mrs. Lenn outlived many of those who knew and loved her, she will be dearly missed by those who are still here. She was a fantastic storyteller with a sharp memory until the end. She could spend hours entertaining her grandchildren with stories of the far off times and places that she had lived. Above all, her strength, kindness, and sweet nature were an inspiration. Mrs. Lenn was predeceased by her husband, Claude to whom she was married for forty-four years, and her younger daughter, Major Elizabeth (Betty) Grace Ryan. She is survived by her daughter, Claudia Christensen, and grandchildren, Elizabeth (Liz) Avalon, James Christensen and Robert Christensen. Interment will be at the Riverside National Cemetery in Riverside, California. A private family memorial for Mrs. Lenn will be held in the future. The family is grateful to her loyal caregivers, who helped Mrs. Lenn to live comfortably in her own home throughout her final years. AAFA NOTES: SSDI records do not list her death. We included the obituary of her brother Noel Milner Alford in Texas Obituaries. Her lineage: Ula Milner 1912 NM1, Starley Fletcher 1882 TX2, Noel Waddell 1838 LA3, Needham Judge 1789 NC4, Jacob 1761 NC5, Julius 1717 VA6, James 1687 VA7, John 1645 VA8.